A ‘few’ years ago I learned there are art terms for specific types of marks, or strokes, you make on the paper while drawing, or in this case coloring. These strokes are another way to create a shading effect that gives depth to your coloring page design elements. This quick (slightly over 3 minutes) video by Craft Ideas Magazine gives a great glimpse showing you what these terms and a few others mean. What did you think? Have you ever tried any of these shading ‘tricks?’ If not, test them out the next time you color! If you’d like more techniques, check out the books in the Amazon carousel below. 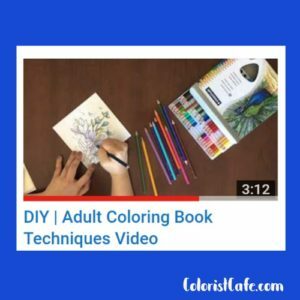 I don’t own any of these books yet (though these are my affiliate links), but the New Guide to Coloring for Crafts… and How To Color Adult Coloring Books – Adult Coloring 101… are on my wish list! All of these books have great ratings and quite a few reviews I’ll be checking out. What are your favorite coloring tutorials or books? Tell me in the comments below. P.S. If you want to get more great info and a grayscale coloring freebie, join our email list HERE!